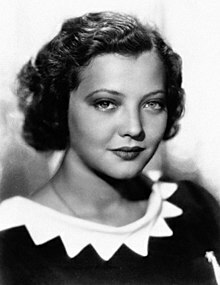 Sylvia Sidney (born Sophia Kosow, August 8, 1910 – July 1, 1999) was an American actress of stage, screen and film, with a career spanning over 70 years, who first rose to prominence in dozens of leading roles in the 1930s. Sidney later came to be known for her role as Juno, a case worker in the afterlife, in Tim Burton's film Beetlejuice. She won a Saturn Award as Best Supporting Actress for this performance. She also was nominated for the Academy Award for Best Supporting Actress for her performance in Summer Wishes, Winter Dreams (1973). Sidney was born in The Bronx, the daughter of Rebecca (née Saperstein), a Romanian Jew, and Victor Kosow, a Russian Jewish immigrant who worked as a clothing salesman. Her parents divorced by 1915, and she was adopted by her stepfather Sigmund Sidney, a dentist. Her mother became a dressmaker and renamed herself Beatrice Sidney. Now using the surname Sidney, she became an actress at the age of 15 as a way of overcoming shyness. As a student of the Theater Guild's School for Acting, Sidney appeared in several of its productions during the 1920s and earned praise from theater critics. In 1926, she was seen by a Hollywood talent scout and made her first film appearance later that year. During the Depression, Sidney appeared in a string of films, often playing the girlfriend or the sister of a gangster. She appeared with Gary Cooper, Spencer Tracy, Henry Fonda, Joel McCrea, Fredric March, George Raft and Cary Grant. Among her films from this period were: An American Tragedy, City Streets and Street Scene (all 1931), Alfred Hitchcock's Sabotage and Fritz Lang's Fury (both 1936), You Only Live Once, Dead End (both 1937) and The Trail of the Lonesome Pine, an early three-strip Technicolor film. It was during this period that she developed a reputation for being difficult to work with. At the time of making Sabotage with Alfred Hitchcock, Sidney was one of the highest paid actresses in the industry earning $10,000 per week - earning a total of $80,000 for Sabotage. Her career diminished somewhat during the 1940s. In 1949, exhibitors voted her "box office poison". In 1952, she played the role of Fantine in Les Misérables, and her performance was praised and allowed her opportunities to develop as a character actress. She appeared three times on Playhouse 90. On May 16, 1957, she appeared as Lulu Morgan, mother of singer Helen Morgan in "The Helen Morgan Story". Four months later, Sidney joined her former co-star Bergen again on the premiere of the short-lived The Polly Bergen Show. She also worked in television during the 1960s on such programs as Route 66, The Defenders, and My Three Sons. In 1973, Sidney received an [Academy Award nomination for her supporting role in Summer Wishes, Winter Dreams. As an elderly woman, Sidney continued to play supporting screen roles, and was identifiable by her husky voice, the result of cigarette smoking. She was the formidable Miss Coral in the film version of I Never Promised You a Rose Garden and later was cast as Aidan Quinn's grandmother in the television production of An Early Frost for which she won a Golden Globe Award. She played Aunt Marion in Damien: Omen II and had key roles in Beetlejuice (directed by longtime Sidney fan Tim Burton), for which she won a Saturn Award, and Used People. Her final role was in Mars Attacks!, another film by Burton, in which she played an elderly woman whose beloved Slim Whitman records help stop an alien invasion from Mars. On television, she appeared in the pilot episode of WKRP in Cincinnati as the imperious owner of the radio station, on Thirtysomething as Melissa's tough grandmother, and at the beginning of each episode as the crotchety travel clerk on the short-lived late 1990s revival of Fantasy Island. She also was featured on Starsky and Hutch, The Love Boat, Magnum, P.I., and Trapper John, M.D..
Sidney was married three times. She first married publisher Bennett Cerf on October 1, 1935, but the couple divorced six months later on April 9, 1936. She later married actor and acting teacher Luther Adler in 1938, by whom she had her only child, a son Jacob ("Jody"; 1939–1987), who died of Lou Gehrig's disease while his mother was still alive. Adler and Sidney divorced in 1947. On March 5, 1947, she married radio producer and announcer Carlton Alsop; they divorced on March 22, 1951. A Democrat, Sidney supported Adlai Stevenson's campaign during the 1952 presidential election. She published two books on the art of needlepoint and raised and showed pug dogs. Sidney died on July 1, 1999, from oesophageal cancer at the Lenox Hill Hospital in New York City. She died a month before her 89th birthday. Before her death, she underwent chemotherapy, which proved unsuccessful. Her remains were cremated. 1952 Cameo Theater Unknown Episode: "The Gathering Twilight"
1952 Schlitz Playhouse of Stars Unknown Episode: "Experiment"
1952 Tales of Tomorrow Natalie Episode: "Time to Go"
1952 Lux Video Theater Joyce Episode: "Night Be Quiet"
1952 Lux Video Theater Laura Barrie Episode: "Pattern for Glory"
1954 Philco Television Playhouse Unknown Episode: "Catch My Boy on Sunday"
1957 Kraft Television Theater Unknown Episode: "Circle of Fear"
1960 The DuPont Show with June Allyson Beulah Episode: "Escape"
1961 Naked City Florence Episode: "A Hole in the City"
1961 Route 66 Hannah Ellis Episode: "Like a Motherless Child"
1963 The Eleventh Hour Mrs. Arnold Episode: "Five Moments Out of Time"
1964 Route 66 Lonnie Taylor Episode: "Child of a Night"
1964 The Nurses Mrs. Sands Episode: "To All My Friends on Shore"
1969 My Three Sons Miss Houk Episode: "Teacher's Pet"
1976 Starsky and Hutch Olga Grossman Episode: "Gillian"
1977 Westside Medical Unknown Episode: "Tears for Two Dollar Wine"
1978 WKRP in Cincinnati Mother Carlson Episode: "Pilot – Part 1"
1978 Kaz Unknown Episode: "A Fine Romance"
1979 Supertrain Agatha Episode: "Superstar"
1979 California Fever Mother Episode: "Movin' Out"
1981 The Love Boat Natalie Episode: "I Love You Too, Smith"
1983 Magnum, P.I. Elizabeth Barrett Episode: "Birdman of Budapest"
1984 Domestic Life Mrs. Moscewicz Episode: "Small Cranes Court"
1984 Whiz Kids Dolly Episode: "The Lollipop Gang Strikes Back"
1984 Trapper John, M.D. Mildred Prosser Episode: "Aunt Mildred Is Watching"
1988 Dear John Mrs. Lumenski Episode: "Dancing in the Dark"
1989 The Equalizer Judge Episode: "Trial by Ordeal"
1989 Thirtysomething Rose Waldman Episode: "Be a Good Girl"
1993 Diagnosis: Murder Alice Episode: "Miracle Cure"
^ a b c "Sylvia Sidney, 30's Film Heroine, Dies at 88". The New York Times. July 2, 1999. ^ "Sylvia Sidney profile at". Film Reference. Retrieved 2010-05-27. ^ Bergan, Ronald (July 6, 1999). "Obituary: Sylvia Sidney". The Guardian. London. ^ "Sylvia Sidney Sued By Father". The New York Times. November 19, 1933. p. 20. ^ Vallance, Tom (July 21, 1999). "Obituary: Sylvia Sidney". The Independent. London. ^ "Mary Armitage's FILM CLOSE-UPS". The Mail. Adelaide: National Library of Australia. January 29, 1949. p. 3 Supplement: Sunday Magazine. Retrieved July 11, 2012. ^ "The Polly Bergen Show". Classic Television Archives. Archived from the original on 2011-10-08. Retrieved January 9, 2011. ^ "Prunella Charming in Guild Youths' Hands". The New York Times. June 16, 1926. p. 23. ^ Frankel, Haskel (1979-03-18). "Theater". The New York Times. ISSN 0362-4331. Retrieved 2019-02-05. ^ "Debut". Long Beach Independent. September 9, 1955. p. 30. Retrieved March 27, 2015 – via Newspapers.com. Wikimedia Commons has media related to Sylvia Sidney. This page was last edited on 5 February 2019, at 00:59 (UTC).